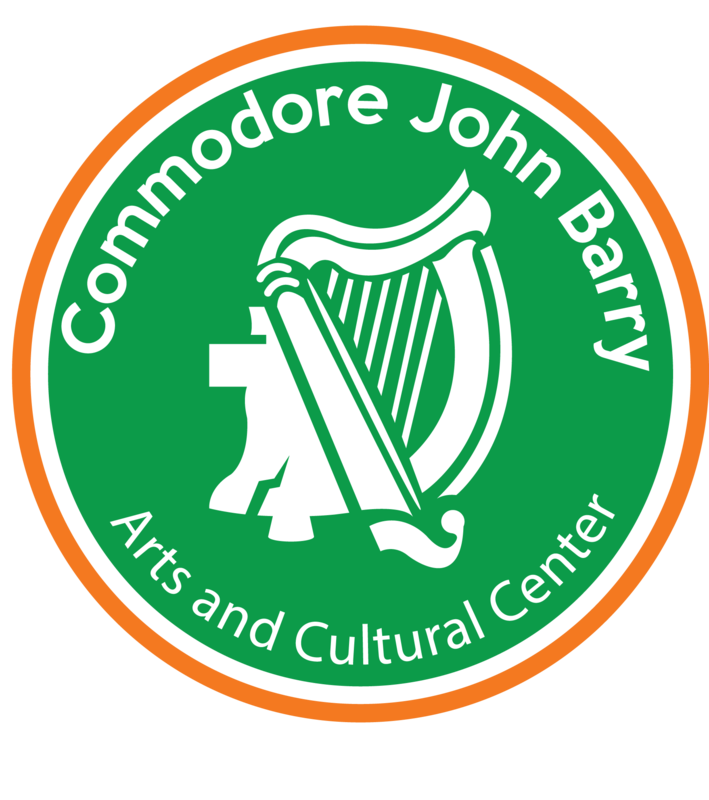 Commodore John Barry Arts and Cultural Center – Your home for Irish culture in Philadelphia. A lot of us claim Irish heritage, but even if you don’t, the Commodore Barry Arts and Cultural Center opens its arms to you. Let us share our vibrant culture and take advantage of our many facilities—including our spacious and elegant ballroom. And join in the exciting activities sponsored by the many groups and organizations that make the Center their home. Wednesday, April 17th – SPDOA’s Post-Parade Gathering and Award Ceremony. More information here. Friday, April 26th – The Tyrone Society of Philadelphia hosts Bingo – for all! Cash, Tools and Designer Bags! $30/ticket – Doors at 6:30. More information here. Saturday, May 4th – Kentucky Derby at the Irish Center! Join us for a Night at the Races benefiting our Capital Improvements Fund. 6-10 PM. Free Admission, Family Friendly with Kids Activities. $5 Horses / Sponsorship Opportunities Available. Contact Julia Nolan at juliabnolan@gmail.com. Weekly set dance lessons in the Fireside Room with John Shields. Ceili dances are held the second and fourth Fridays of the month. Weekly Dance sponsored by Mt. Airy Contra Dance Group in the Ballroom. More information at their website here. Ceili Dancing instructed by John Shields in the Fireside Room- Fourth Friday Ceili sponsored by the Philadelphia Ceili Group with Live Music every other month. The Commodore John Barry Arts & Cultural Center is proud to announce that our President, Sean McMenamin, has been chosen as the Grand Marshal of the 249th St. Patrick’s Day Parade in Philadelphia! The Parade will step off at Noon on Sunday, March 10th at 15th and JFK and will continue on to the reviewing stand in front of the Constitution Center. Please join us in congratulating Sean and cheering him on at the Parade as Grand Marshal – a role he is so very deserving of! We’re so honored to be able to call him one of own. More information on the parade can be found here. The Philadelphia area is up to its eyebrows in O’Briens and Ryans and Sheehans and Meehans, and all manner of people with Irish last names. For that matter, a lot of us boast Irish heritage, even if our last names happen to be Fiore, Filipowski or Fenstermacher. So here’s the point: if you have Irish in you, we here at the Commodore Barry Arts and Cultural Center open its arms to you. Consider the Center your own little bit of Ireland here in Philly. The Center serves as the home for any number of Irish organizations and societies, including the Philadelphia Ceili Group, Danny Browne AOH Division 80, and the Cummins School of Irish Dance. Lessons in Irish music and dance for adults and children are held weekly. A traditional Irish music session is held most Friday evenings. We even show broadcasts of Gaelic sports, live from Ireland. No matter who you are, no matter where your people hail from, as they say in the Irish language: Céad míle fáilte—a hundred thousand welcomes.